Studies of butterflies in Bulgaria have been carried out for more than 150 years. While the species distribution was more or less known (Abadjiev, 2001), their conservation was not a special priority until recently. Previously the conservation efforts were mainly focused on a particular species (the decline of butterflies has been recognised for many years) and not on the areas which they inhabit. The first 14 sites (Prime Butterfly Areas [PBA]), covering only 7802 ha, were identified by Abadjiev (2003) using 7 target species. However, on a national level, more species and areas need protection. The main object here was to identify and describe the most important sites for butterflies in the country, implementing a simple method using target species, in order to help the definition of the Bulgarian part of the European Union’s NATURA 2000 Network. The method used here was based mainly on two criteria. The first one, presence in particullar area of a substantial part of the populations of at least 6 target species, was determining. The only exceptions allowed were in case of target species included in the Annex II of the Habitats Directive 92/43 of the European Union. (1.2) endemics (endemic is used here in a broader term — it represents species with a distribution confined mainly to Europe) [16 species]. (2) General species richness. Additional criterion for selecting the PBAs was the general Lepidoptera (including moths) species richness. The final area borders were drawn using GIS, and after plotting all the induvidual populations (localities) of target species in a given area. 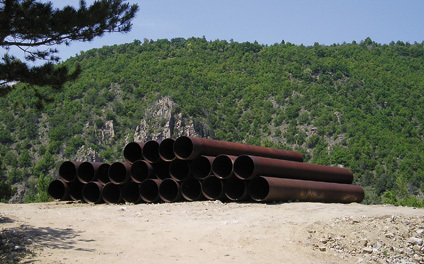 • Land drainage — include all kinds of measures aimed at the draining of natural lands, regardless of the type of habitat and the subsequent utilisation. • Intensification — include all kinds of area melioration, land consolidation, introduction of new crops, land use change, woodland management practices. • Afforestation — all kinds of planting with trees (native or not) of natural areas of open character. • Urbanisation — include all kind of building-over of natural sites, regardless of final purpose. • Earthworks — all kinds of open-pit mining and all other anthropogenic changes involving extensive moving of soil and minerals. Weed, pest control and air pollution — all kind of chemicals (toxic or not) used to control unwanted wild plants or pests and diseases or contained in air. • Tourism | Transport — development and running of centres of tourism and all related activities, including all forms of transport. • Collecting — repeated heavy collecting of selected species for any purpose. 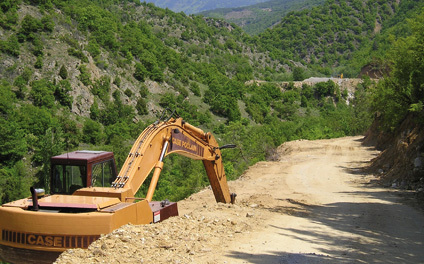 Construction works on water catchment in Kresna Gorge. 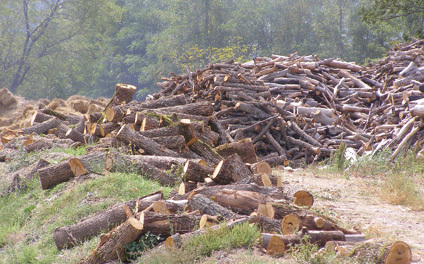 One of the serious treats to habitats; can cause a complete land drainage in the area (Photo: S. Beshkov, May 2006). 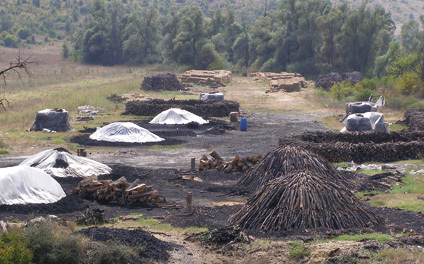 The extensive agriculture in the Suha Reka area is another serious treat to the natural habitats (Photo: S. Beshkov, May 2006). 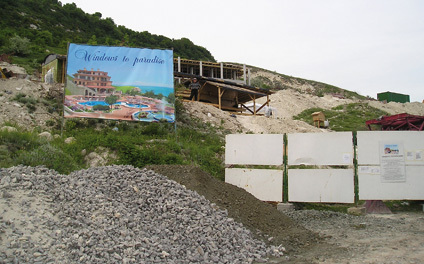 The construction of tourism centres in the Kaliakra area led to a complete destruction of the real “paradise” — the habitats of many rare butterflies, unique for the region (Photo: S. Beshkov, May 2006). 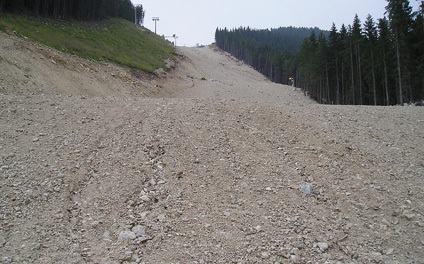 The ski-track construction near Bansko also led to a habitat destruction (Photo: S. Beshkov, 2006). 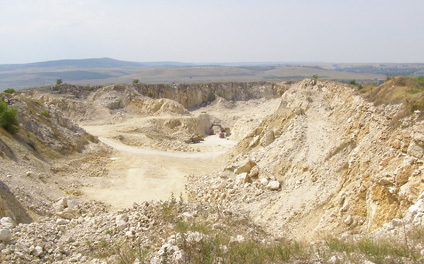 An example of open-pit mining in Karlukovo Karst area (Photo: S. Beshkov, August 2006). 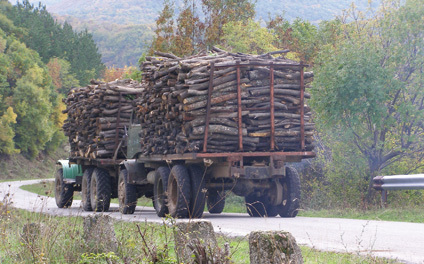 In the past few years illegal deforestation and wood coal production have become a highly profitable business, especially the area of Byala Reka (Photo: S. Beshkov, 2006). Using the above described criteria 50 PBAs have been identified, covering 2222205 ha, which is nearly 20% of the territory of the country [see a complete list]. The areas are well documented with descriptions, target species presence, current protection measures and main threats, a lot of additional information for other biological species of conservation importance living in the same area, and a substantial ammount of illustrations — precise maps (developed using a modern GIS system) and habitat photos. It is important to mention that coordinates and altitudinal values given represent the absolute centre of area’s shape. 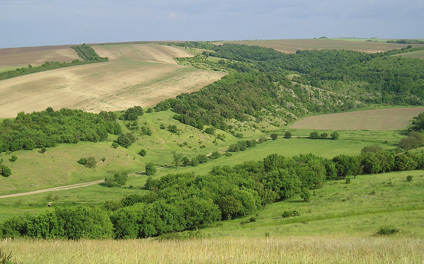 As it was already mentioned in the beginning, one of the main goals here was to help the selection and definition the sites forming the Bulgarian part of the European Union’s NATURA 2000 Network. 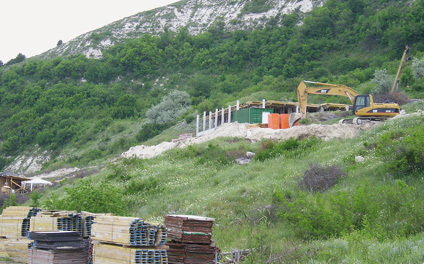 The use of target species included in Annex II of the Habitats Directive 92/43 of the European Union led to a close relation and coordination with the Bulgarian office of NATURA 2000. 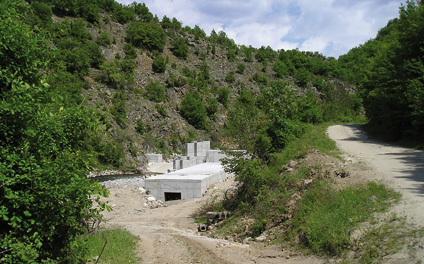 In September 2006 all the available area’s data accumulated during the implementation of the current project were officially submitted in electronic and printed form to them and the Ministry of Environment and Waters of Republic of Bulgaria. The development of the project is financially supported by the Ministry of Foreign Affairs, The Netherlands under the BBI-Matra programme (reference: BBI-Matra/2005/034). It is implemented with the partnership participation of Butterfly Conservation Europe’s network partner De Vlinderstichting (Dutch Butterfly Conservation), Wageningen [Chris van Swaay, Ms Svetlana Miteva] and the National Museum of Natural History at the Bulgarian Academy of Sciences, Sofia. The GIS development and the maps production is by Geonet-A Ltd, Sofia [Mr Ivan Alexiev]. Many photos were supplied by: Ekaterina Abadjieva, Lyubomir Andreev, Jaroslaw Buszko, Stefan Hermans, Ivan Kamburov, Zdravko Kolev, Dirk Louy, Branko Micevski, Boyan Petrov, Matt Rowlings, Kars Veling, Boyan Zlatkov. To all of them our sincere thanks.